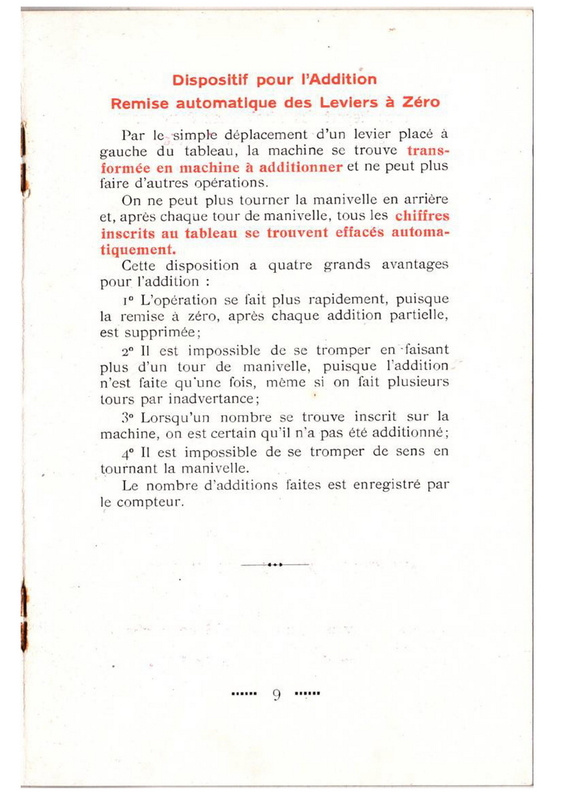 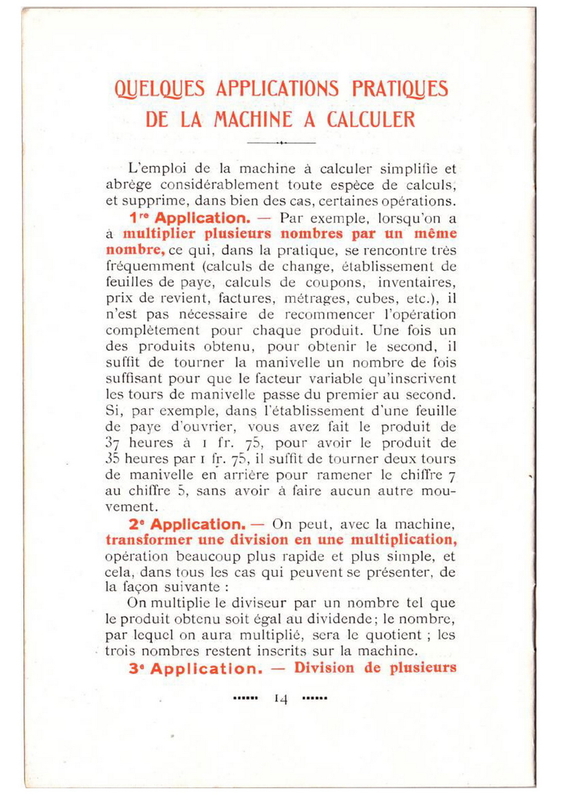 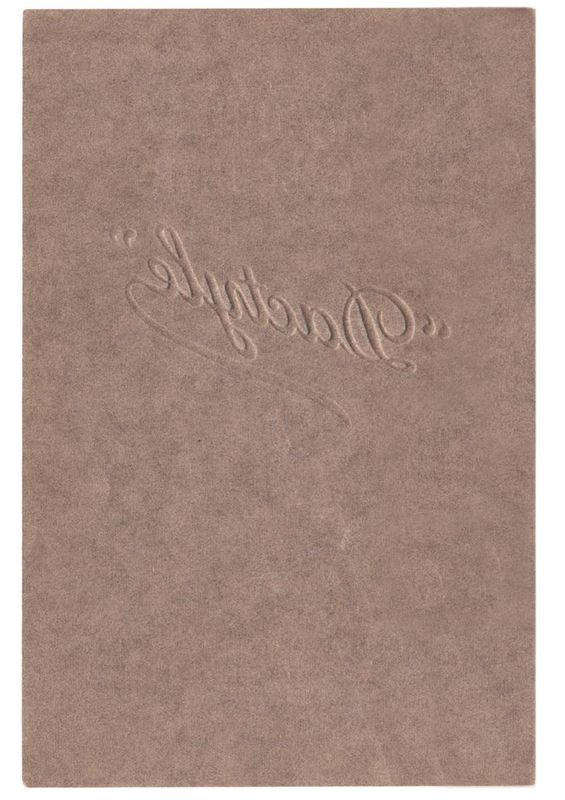 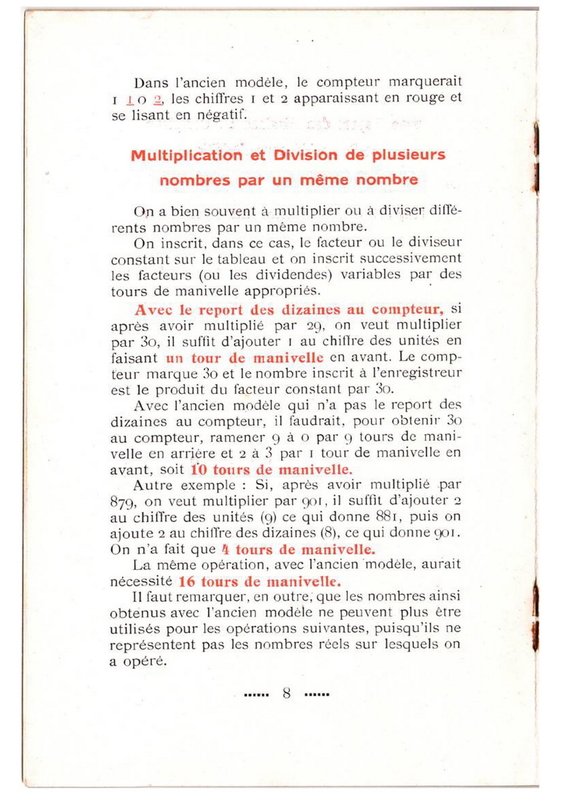 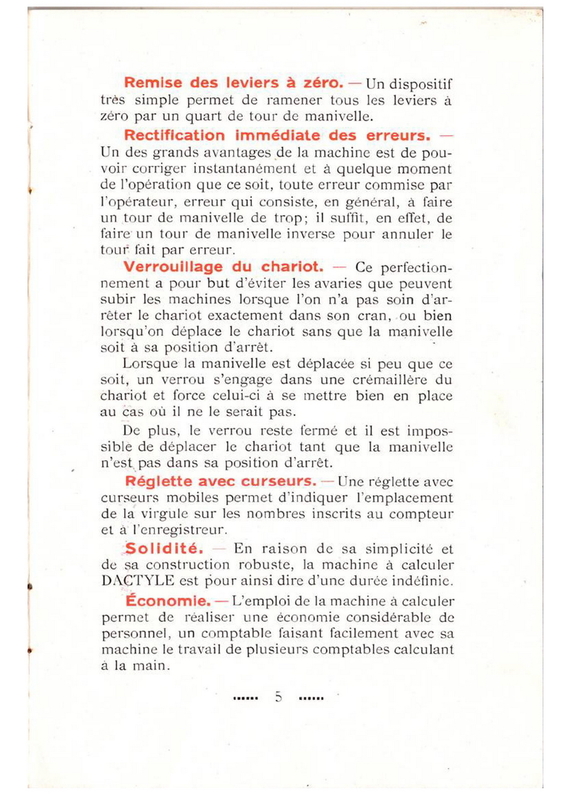 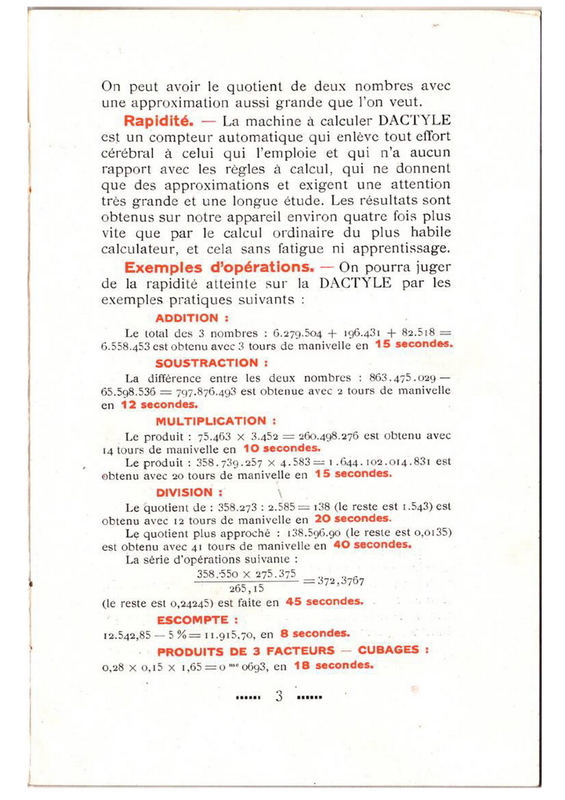 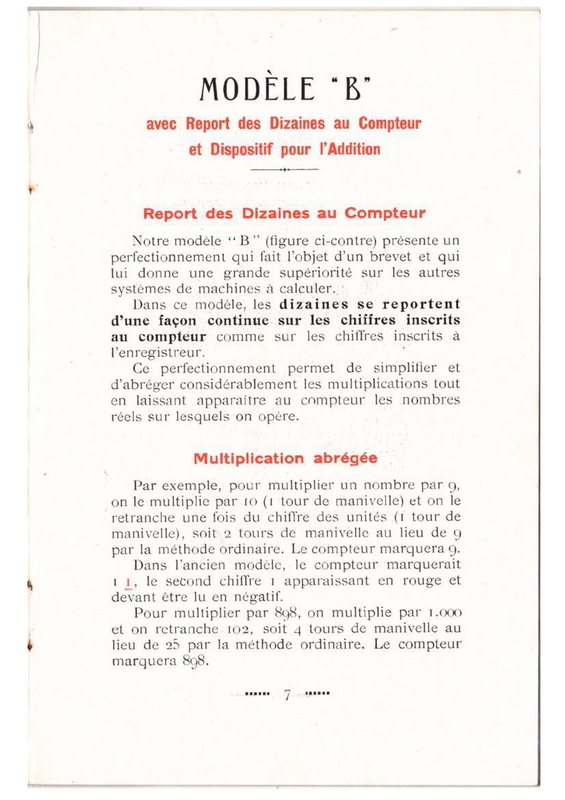 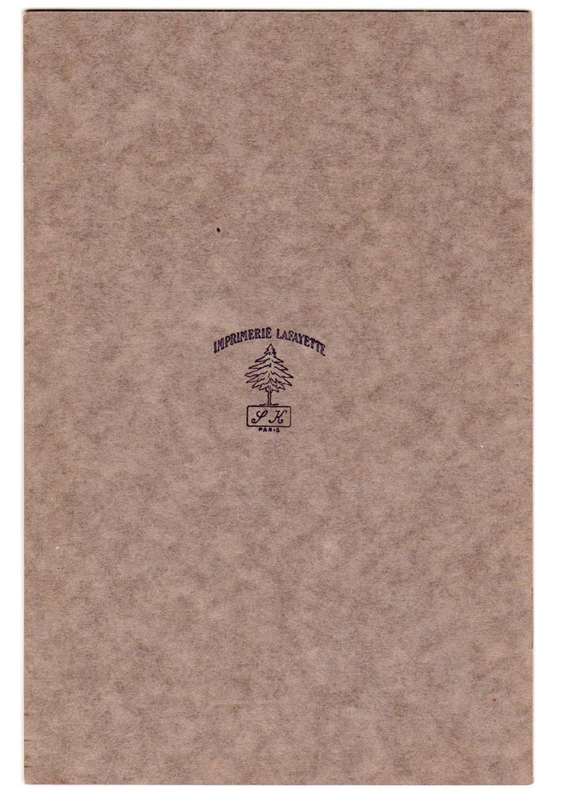 This booklet was provided by a french collector friend, who would like to see it made available for all to read and see. 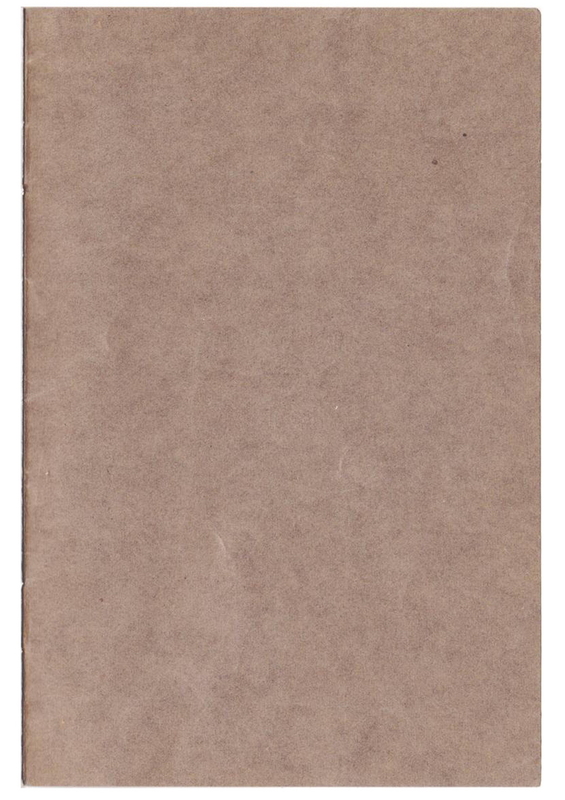 I was most happy to oblige, because it contains some interesting facts that would otherwise be hard to deduce. 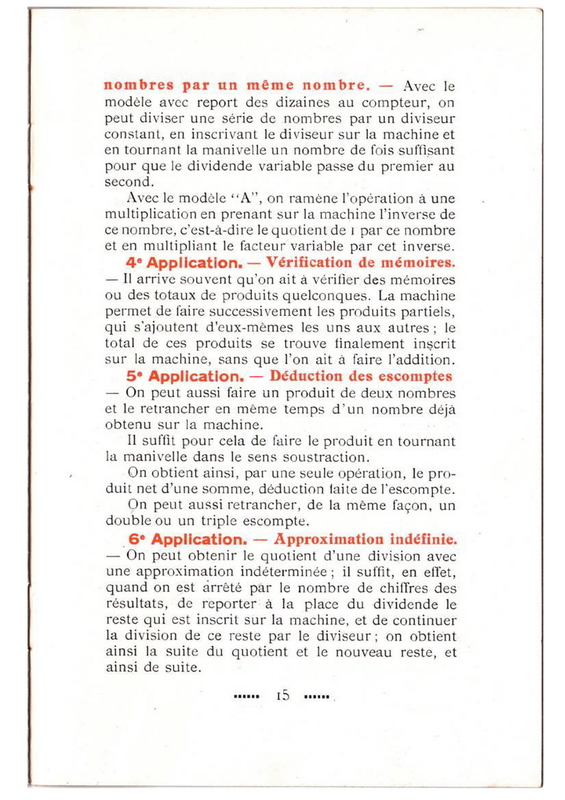 The first interesting fact is that the designation of the machines is not according to the system used by Brunsviga, where different letters signify different capacities of machine. 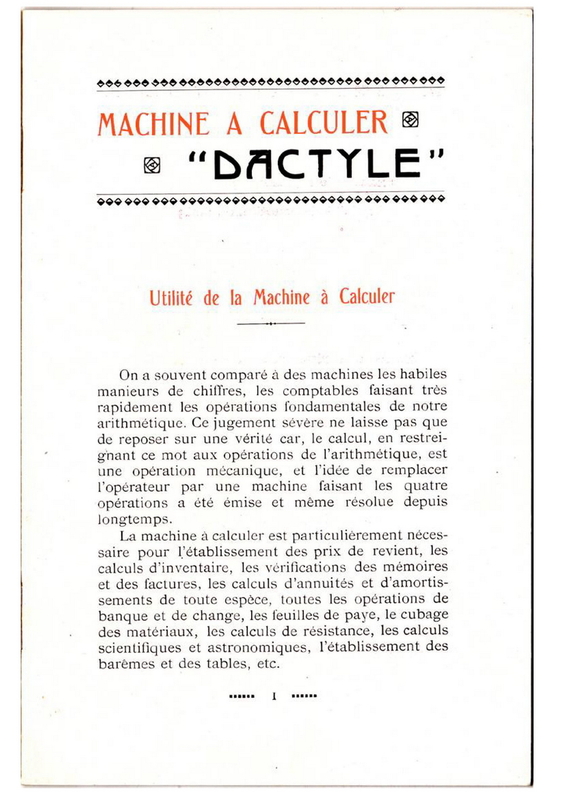 For Dactyle, the Dactyle "A" is the machine without tens' carry in the counter register, and without automatic clearing of the input on addition. 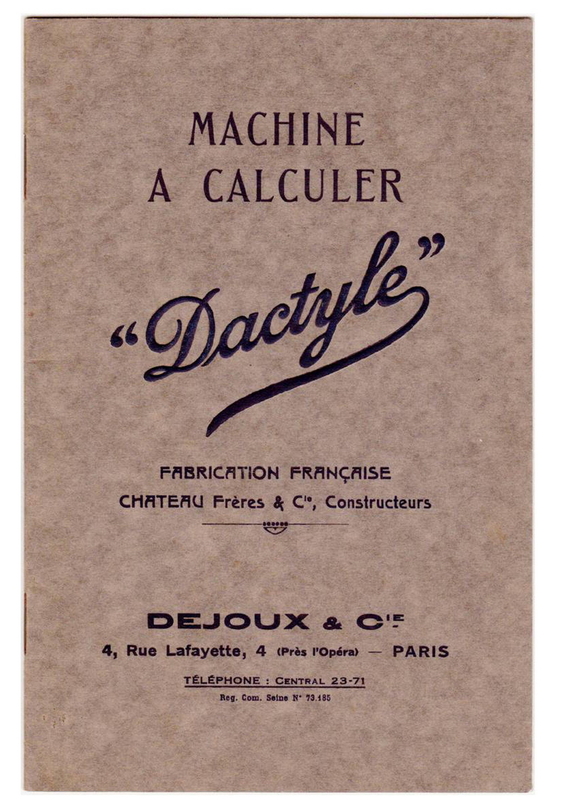 The Dactyle "B" is the one which does have these 2 functionalities. 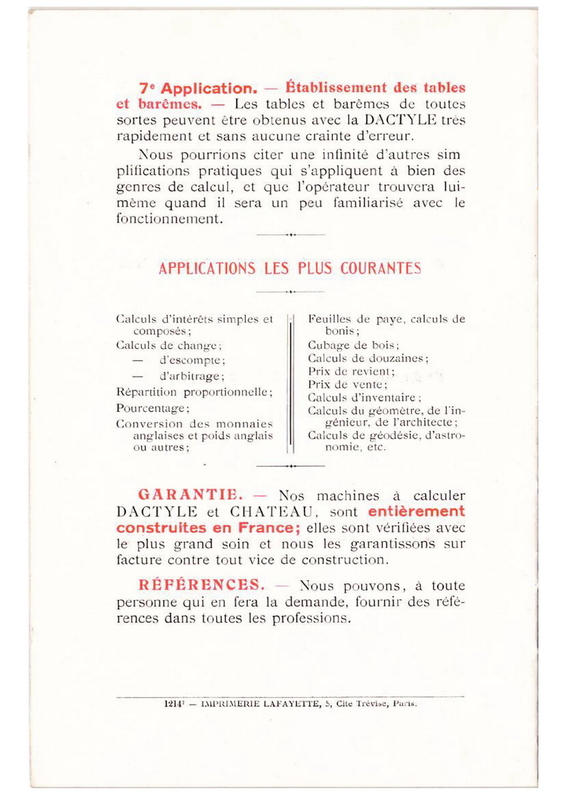 Each machine can be delivered in four different capacities, the smallest of which is 7x6x10, and the largest the rather exceptional 10x12x22. 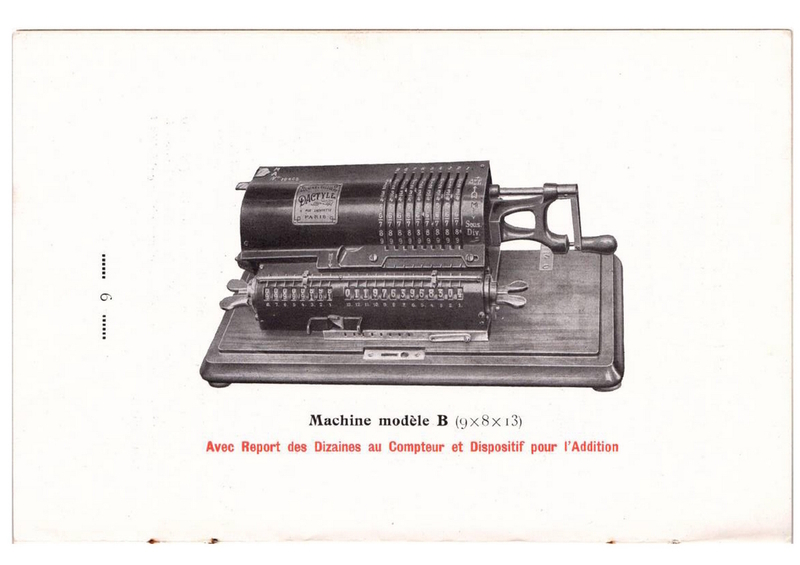 Both A and B can be delivered with tabulation unit. 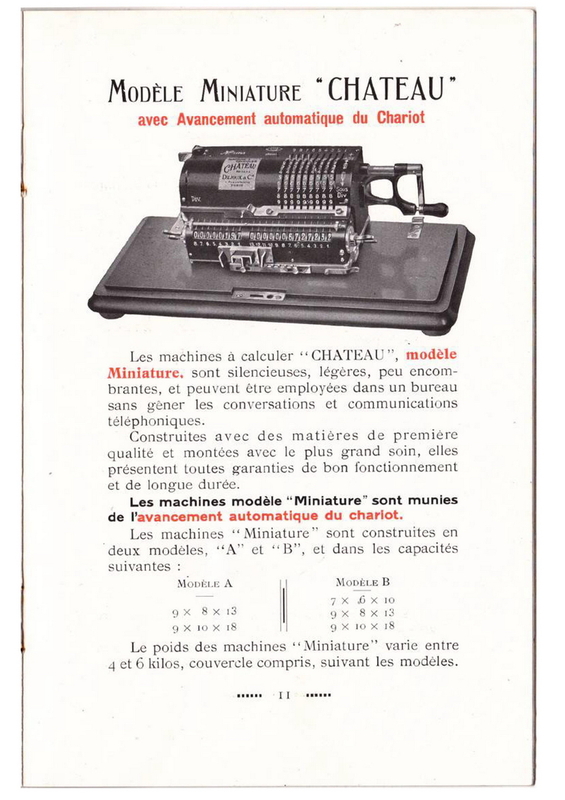 The brand "Chateau" is used for A and B machines is the model "Miniature". 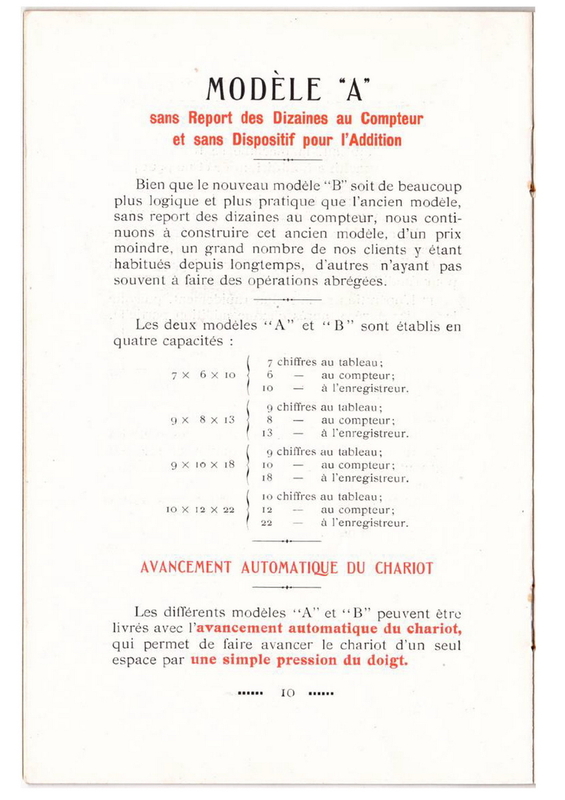 The A's can be delivered in capacities of 13 and 18, the model B in sizes 10, 13 and 18. 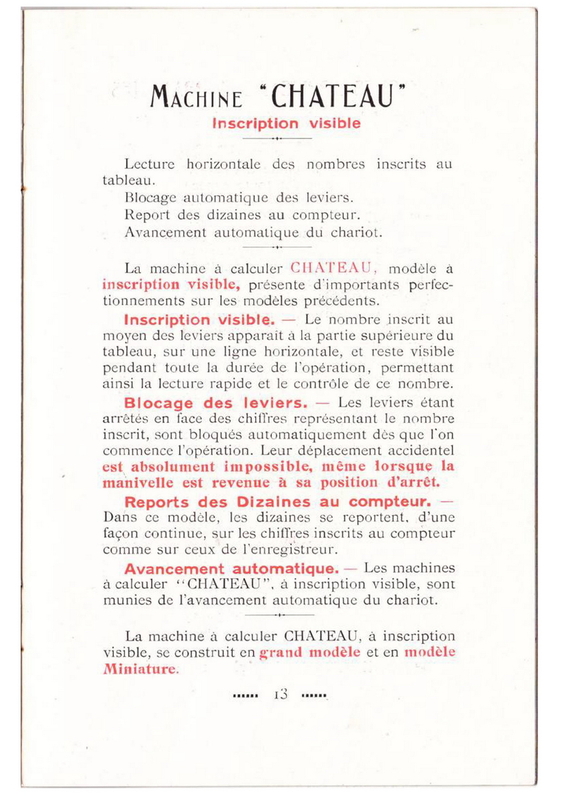 All miniature machines have tabulation installed by default. 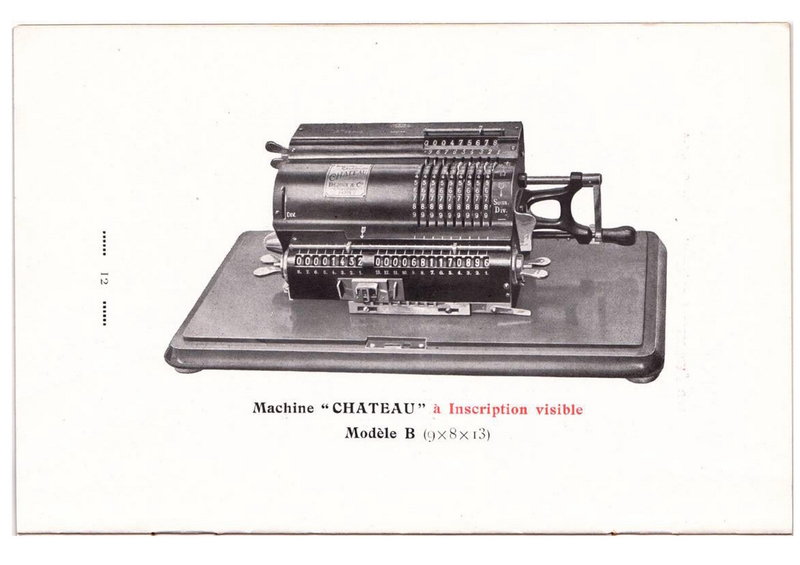 "Chateau" is also the brand for machines with an input register on top of the machine. 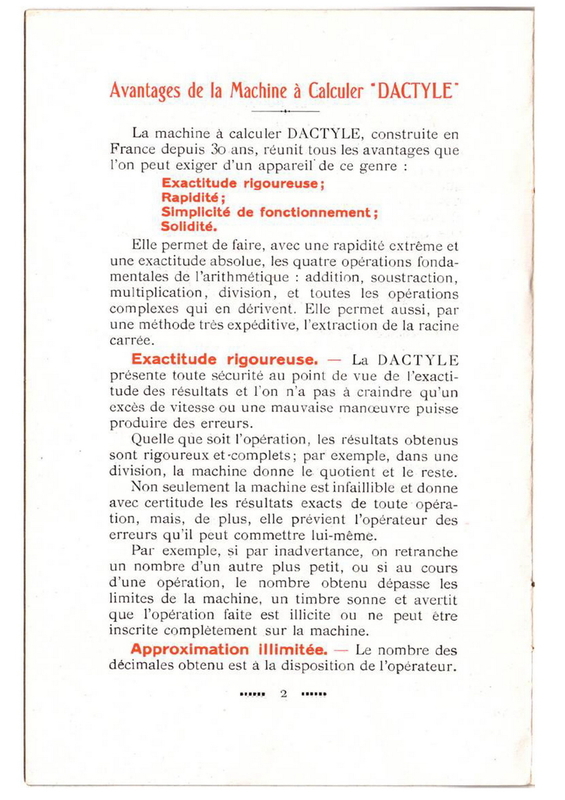 Both large size and miniature machines can be delivered with this provision. 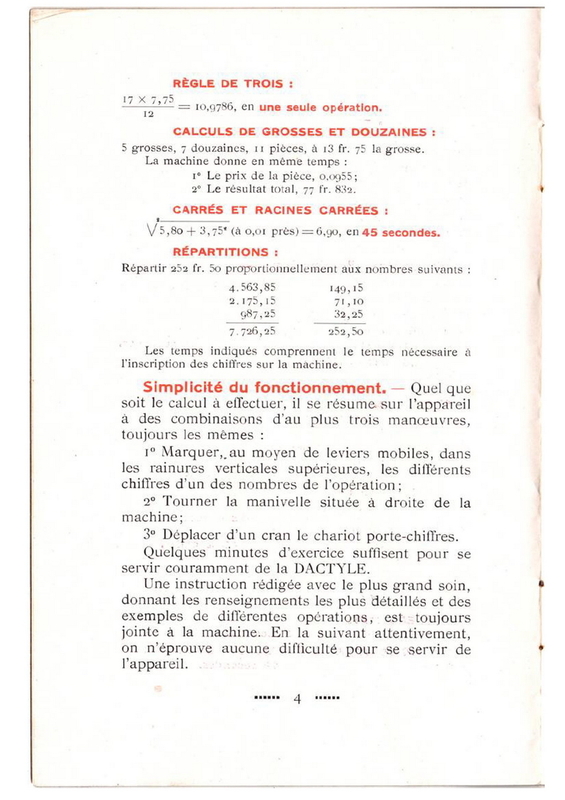 These machines also have input pin blocking when the crank is not in its rest position, tabulation and tens' carry in the counter register.